How Do I Know if my Car Is Junk? When is it time to call for junk car removal? 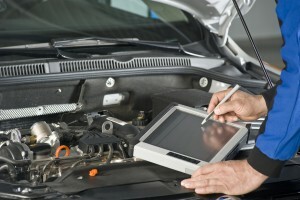 Once you have made the determination that your car is junk, it is best to use a cash for cars service to take it away. It is free and easy and a better option than trying to sell a lemon to the public or trade it in at a dealership. In fact, it is difficult to get anyone to accept a junk car, let alone try to get money for it. But, how do you know when your vehicle has reached that point? Here are a few pointers to help determine if your car may be junk. These include how old the car is, whether it needs multiple or expensive repairs, and if it has been in a serious accident. Of course, just having an older car does not mean it is ready for junk car removal. Some classics are old and in better shape than many cars on the road. Outside of classics, though, cars depreciate in value quickly. If you have an old car with high mileage it could be very low in value. Private buyers will be leery because the car could have six month or six days left before it has a major breakdown. There is just no way to know. Since no one wants to take that risk, a cash for cars company is probably your best bet. Does the car need expensive repairs? Having a bent frame can be very expensive to fix. Beyond that, dealerships are often not allowed to resell vehicles that have been involved in a serious accident. Accidents can easily brand a car as totaled. At that point, it is generally not resealable and the only place that will take it, besides a junkyard, is a company specializing in junk car removal. When you need the most money possible for your junk car removal in Vancouver, WA and the surrounding Portland Metro area, Cash for Cars is ready for your call.